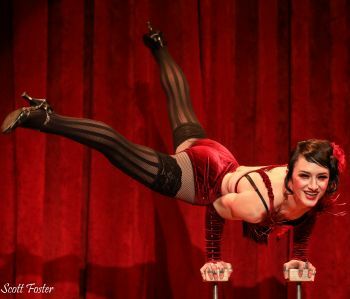 Jill Marissa is a Seattle-based performer specialising in hand balancing, aerial arts and dance. Equal parts glitter and grit, she has been dazzling audiences with her unique blend of feminine grace and athleticism since she was a teenager. She has toured internationally with the Aerialistas and continues to work for a variety of companies, including Valtesse Productions and DASS Dance.